During a late Spring snowstorm, after the leaves already opened on the trees, we lost two 50+-year-old trees in our yard. Thankfully we have a backyard fire pit so the firewood will come in handy. It took an entire weekend to cut up all that wood. Last week while sipping my morning java and admiring cursing the freshly fallen snow from my kitchen window my eyes caught a glimpse of that woodpile and inspiration struck. 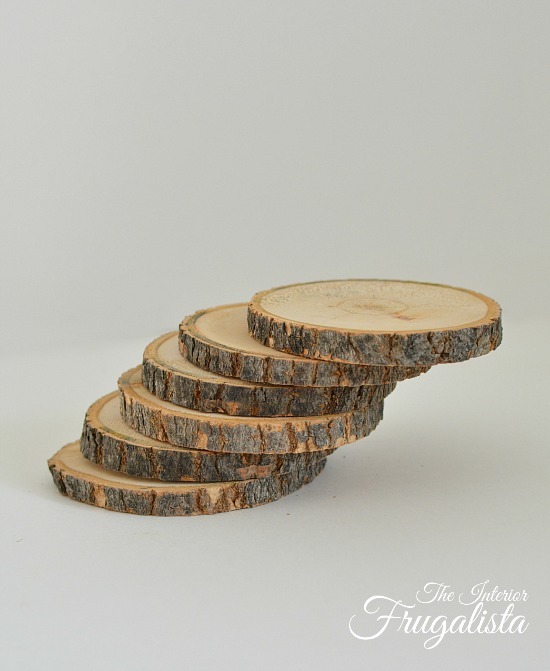 On went, the snow boots in search of the perfect size log to make fun Wood Slice Holiday Coasters. There it is, my big fat spelling mistake that I didn't notice until after I published the post. I know how to spell, I would win the spelling bees in grade school. What was I thinking! I know JOLLY is spelled with two L's. I've since corrected the error but decided, instead of removing the photos, I'd keep it real. 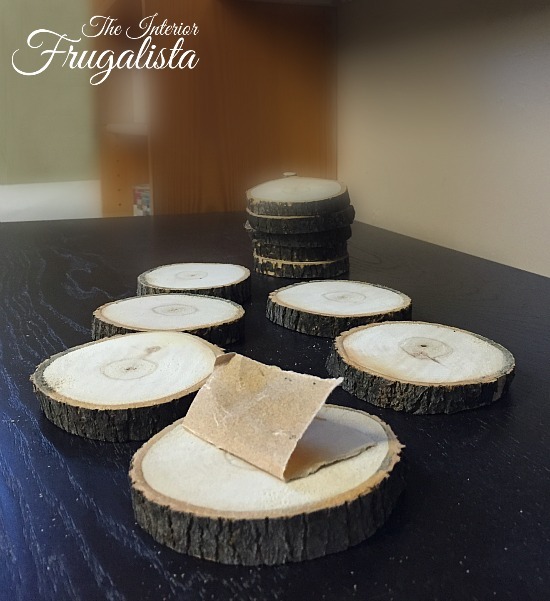 While the inspiration for these coasters came from my wood pile, the motivation for making them came from the Power Tool Challenge team. The theme this month is Kris Kringle Holiday Edition. 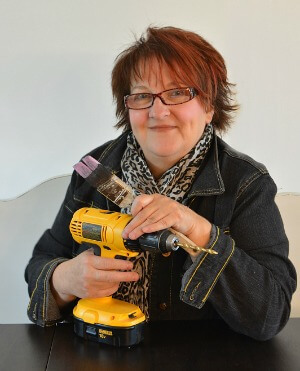 If you haven't heard of the Power Tool Challenge, it is a group of tool savvy, skill sharing blogging friends who encourage and empower our female readers to step out of their comfort zone and try simple projects they can make themselves using a power tool. 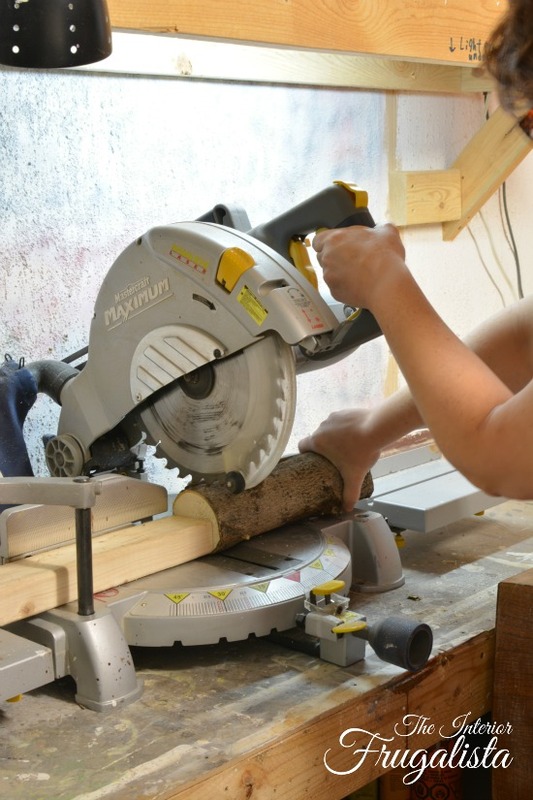 For this project, you will need just one power tool, a compound miter saw to cut a tree branch into slices. I've included a Materials List near the bottom of this post for your convenience. 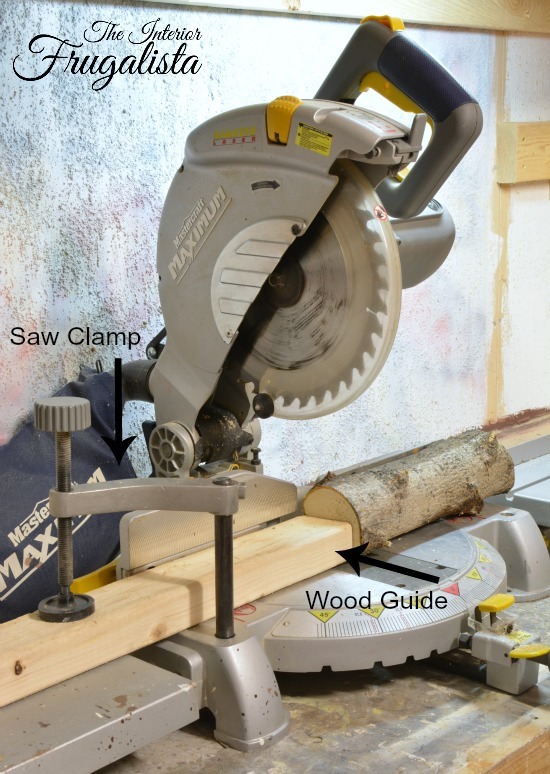 A great idea for ensuring the wood slices are cut straight and uniform thickness is to make a wood slice jig using a block of wood held in place with the miter saw clamp (as pictured above). Measure the distance from the end of the wood guide to your saw blade for the desired thickness (mine are 1/2-inch thick). Don't forget to wear eye protection. Using 180 grit sandpaper, smooth the surface on the top of each slice. Create typography with your favorite software - I used PicMonkey. You can see there is a cocktail hour theme to my coasters. I've included a Free Printable of the graphic I used for your convenience. 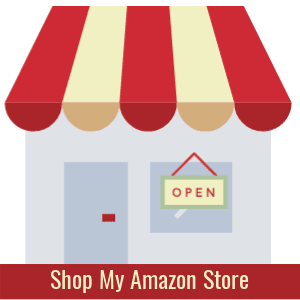 Click on the graphic below for your copy. Print the graphics on bond paper and use carbon paper to trace them onto the wood slices (as pictured below). With a Fine or Ultra Fine Sharpie, trace over the transfer and let the ink dry for several hours before moving on to the next step. Using an inkjet printer (a laser printer will not work) change the settings to print a mirror image (reverse) of the graphic. Print onto glossy paper (glossy side up). Photo paper, sheet labels with labels removed, or clear sheet protectors work great for this step. 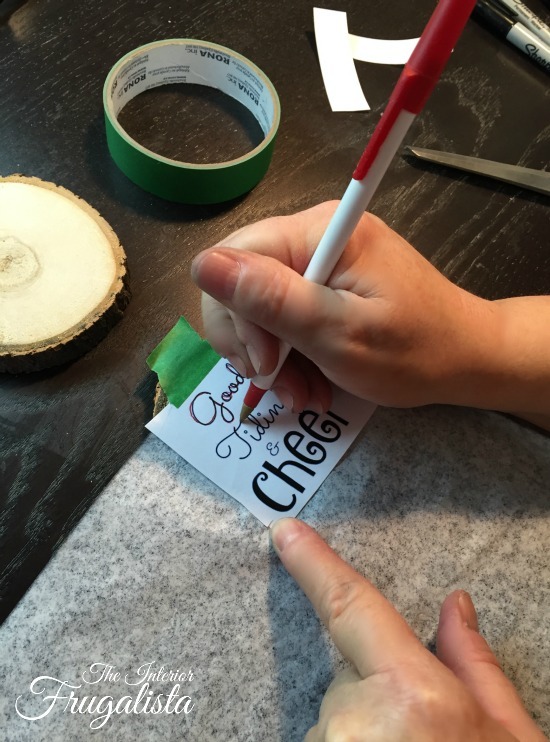 Place the graphic print side down and hold firmly in place, being careful not to smudge the ink by moving the sheet. With the back of a spoon, rub over the back of the graphic until the ink is fully transferred onto the wood. 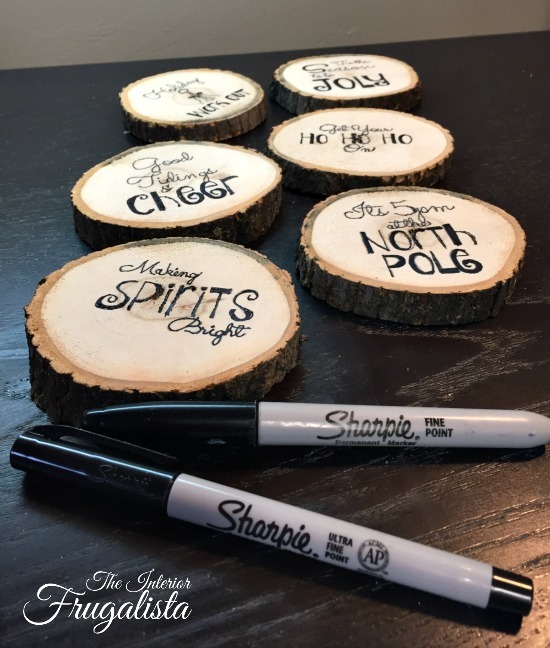 Once the Sharpie ink is completely dry, spray two coats of shellac over each wood slice to seal and protect them. 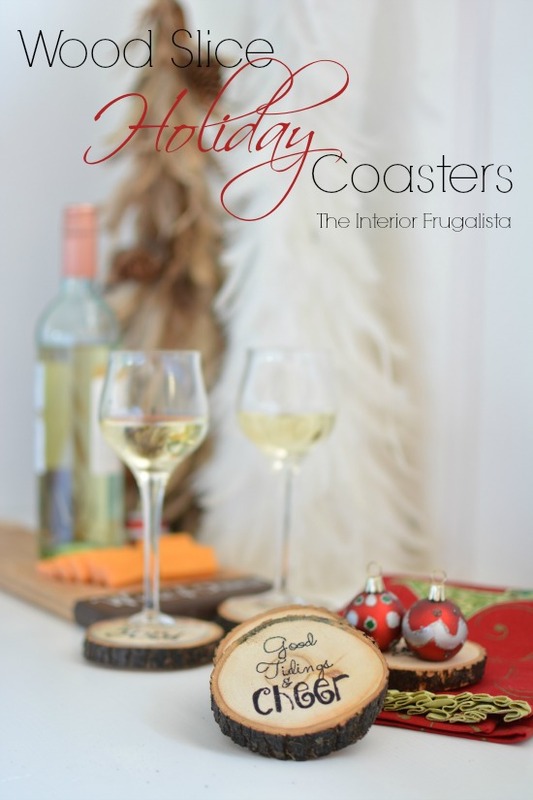 Add felt pads onto the bottoms to prevent the coasters from scratching furniture. Your guests are sure to have a chuckle when setting their cocktails on these coasters during the holidays. They also avoid having to use wine charms to identify each person's drink. The extra fun part of the Power Tool Kris Kringle Challenge this month is that our projects are part of a Secret Santa gift to a designated friend on the team. 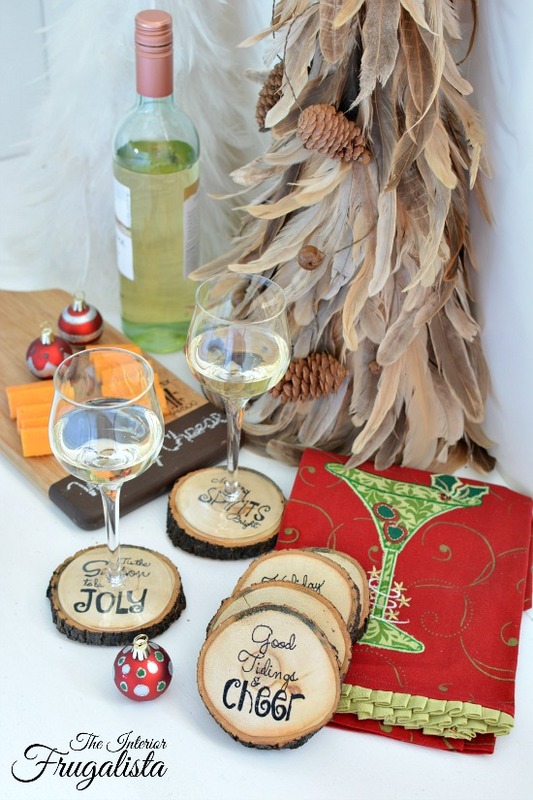 I made extra sets to include a bottle of wine for hostess gifts this holiday season. 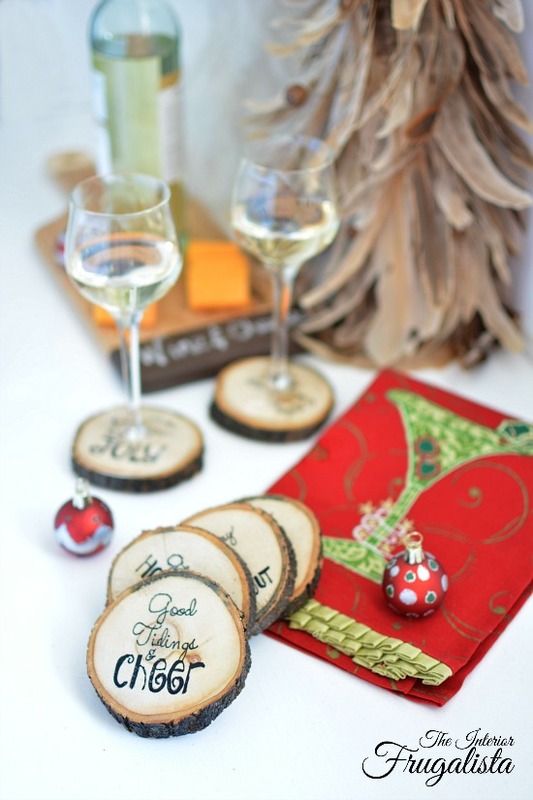 I also made Wood Slice Map Ornaments that are great for the travelers in your life. 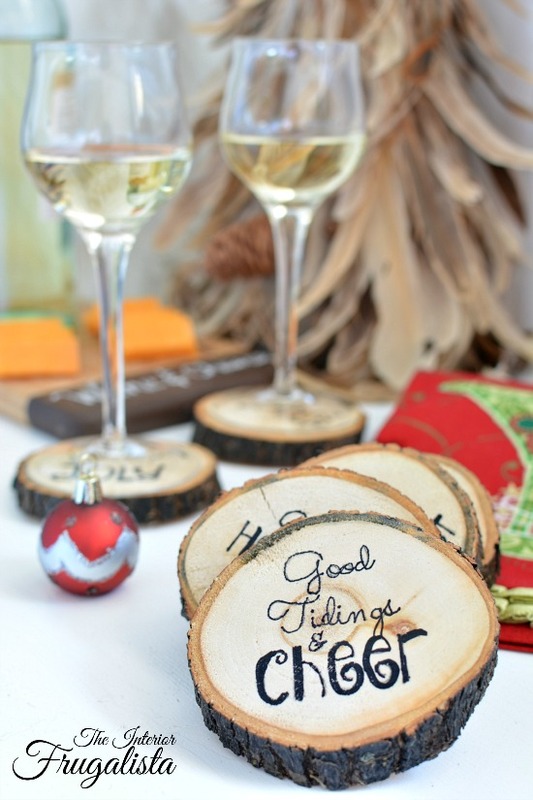 If you were inspired by these fun Wood Slice Holiday Cocktail Coasters, please share them with a friend and/or save them on Pinterest. 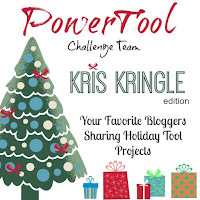 I invite you to join me in visiting my Power Tool Challenge friend's blogs to see what they each made for their Kris Kringle challenge projects. Press the link below to see a thumbnail photo of their projects along with the link. 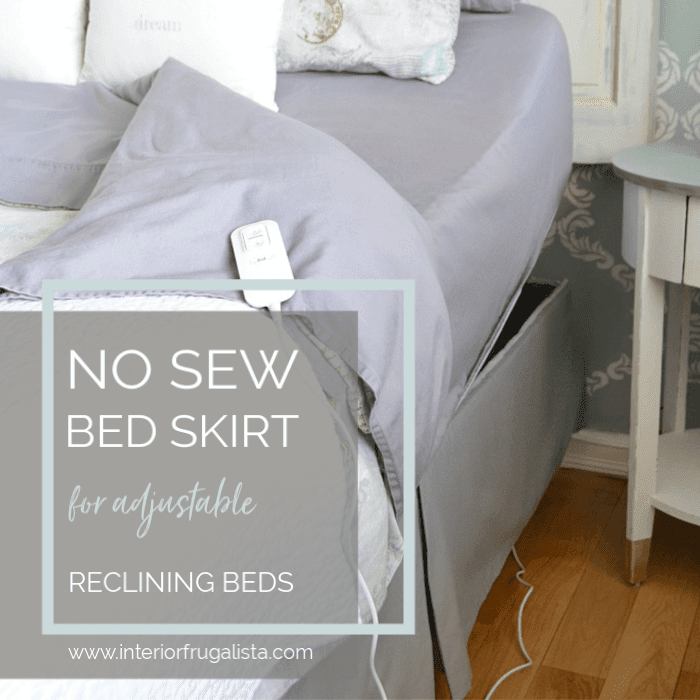 If you like and are inspired by any of the projects, please pin directly from the blog posts. You'll find this project shared with these fabulous LINK PARTIES.